It’s not a secret that the Aunties love the work of our jewelry designer Iliana Prado. We love that her pieces are unique, original, handmade and don’t cost an arm and a leg. Whenever we have to make a gift she is our first stop. 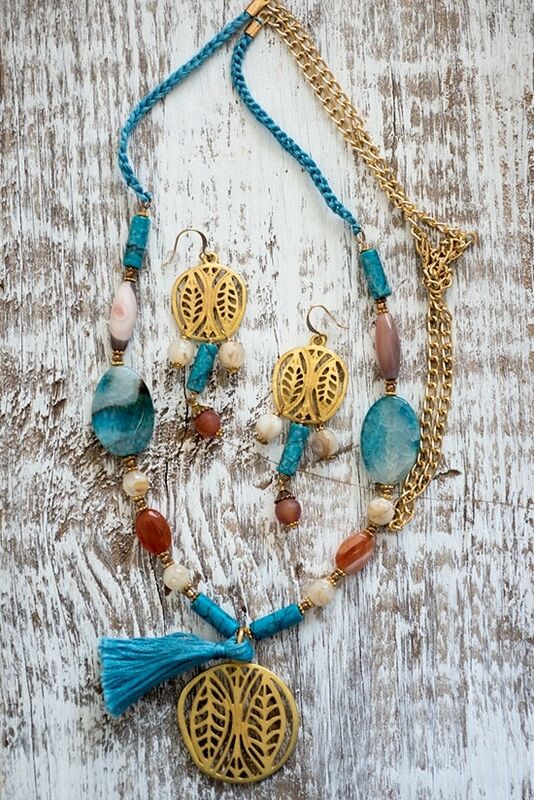 And speaking of gifts, this time we have another for our lovely readers: a set of handmade earrings and necklace. This giveaway is shared with our twin site www.cocinadominicana.com. The winner will be picked from both blogs. Please follow us on Twitter, Facebook, Pinterest or Google Plus. The winner is chosen at random, and we’ll send him/her an email with instructions to claim the prize. If we don’t receive a reply to the email within the following 72 hours a new winner will be picked. This contest is closed! Here’s the winner.